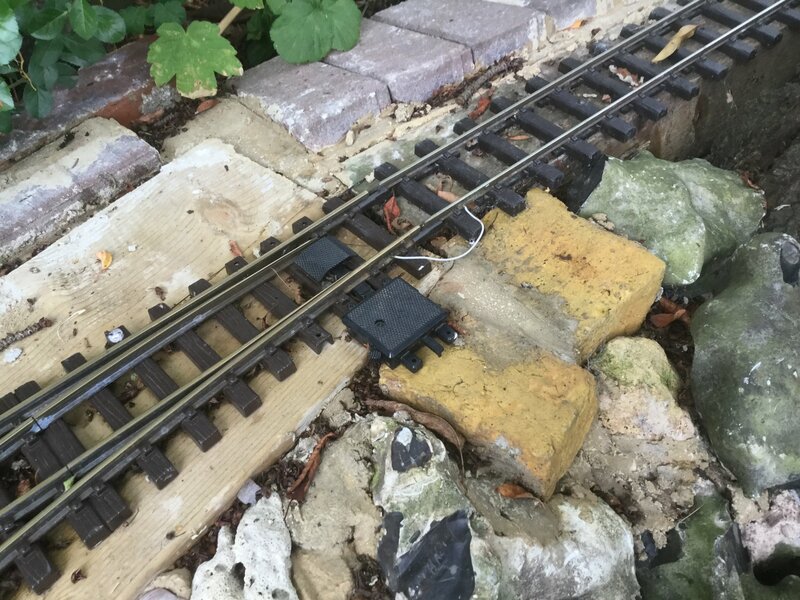 My new tramway is going to be using a mix of LGB and Peco track. As you will all know the Peco track has a lower-height rail. 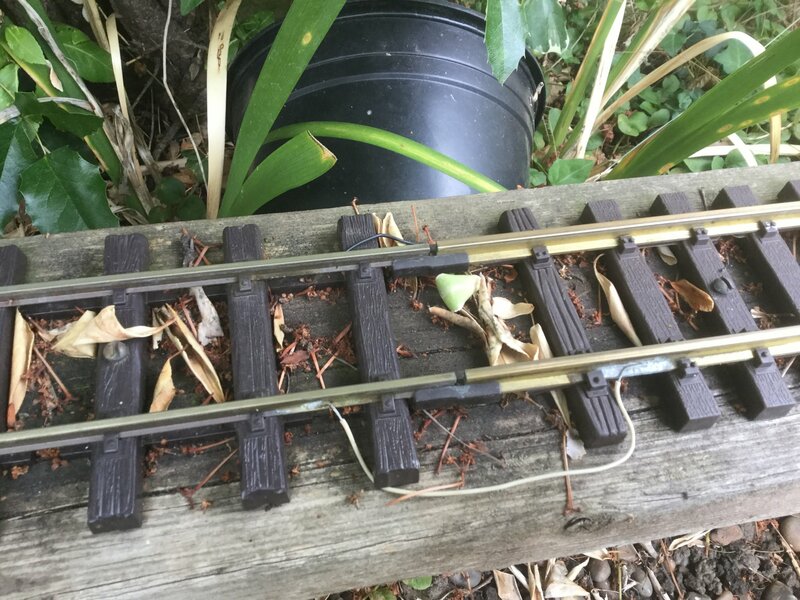 I am looking for a simple, but reliable rail joiner joiner between the two rail profiles. Has anyone else encountered - and overcome - this problem? Any advice gratefully received and acknowledged. I've got to do the same. 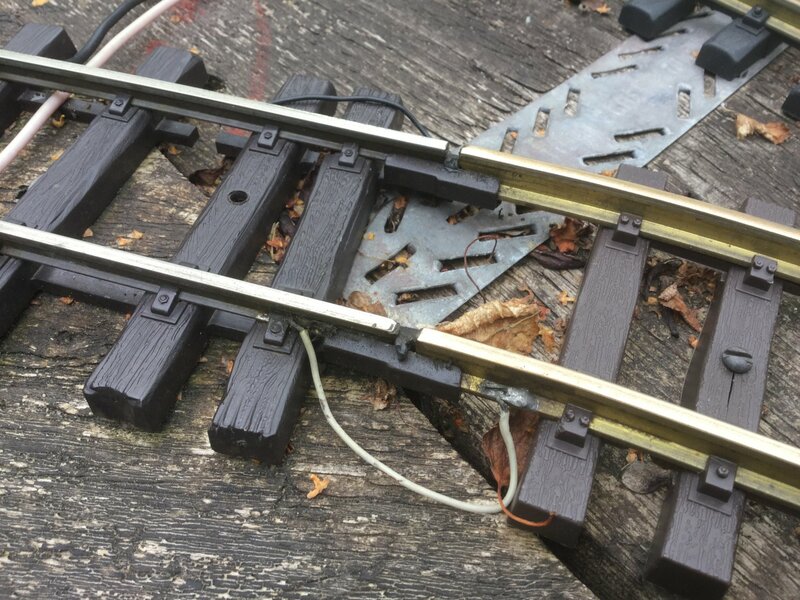 In discussions with a 16mm body, it was suggested that cutting a short leng the of each track, soldering them together, and then joining the resulting length to the existing track might work. 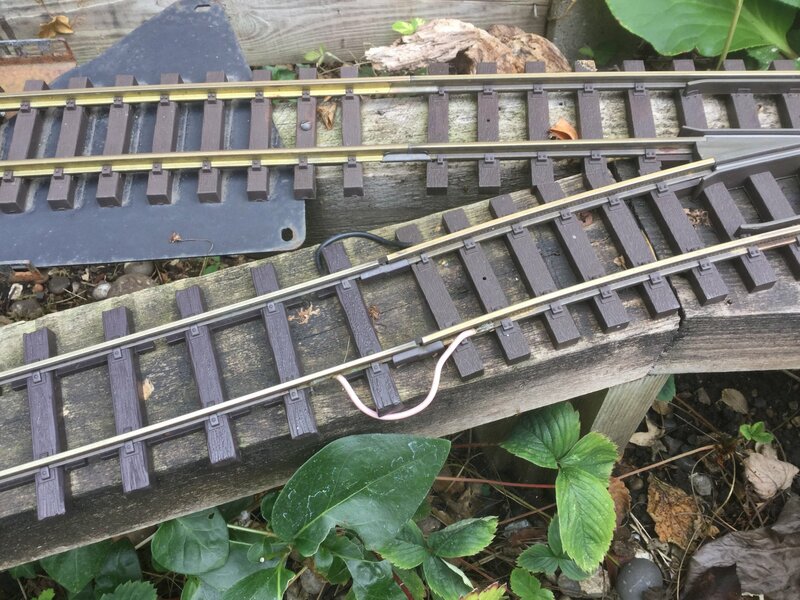 Ie make a converter track similar to the one Hornby made to join their System 6 and Super 4 rails. Use a rail clamp like a split jaw, but put a shim underneath the "shorter" rail. SL912 and there are some on e-bay for £10.99 for a packet of six at the moment. I have the exact same combination. I do have some of the transition joiners mentioned above...the only disadvantage is that they are plastic and conduct through a slim tab of metal. I had to adapt lgb joiners on one section by slipping some plastic beneath the bit holding the Peco rail. Not ideal either. I think I will further modify an lgb joiner to fit properly. Looking forward to hearing everyone’s thoughts on this dilemma. Other than the Peco SL 912 joiner as described by Roy-ale is a rail clamp as mentioned by Greg? 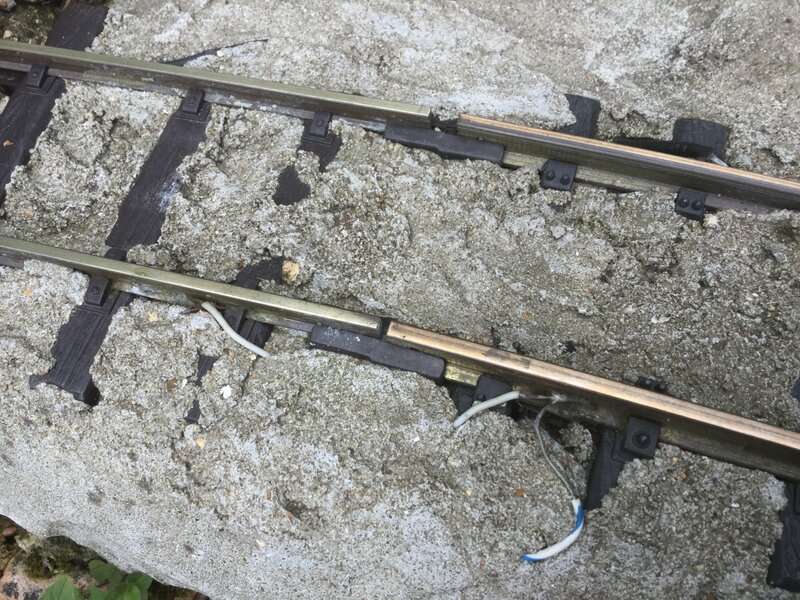 If the option of the joiner by Peco does not appeal you could always make a short converter section and solder the differing rail lengths together with a short piece of wire to make the joint stronger. 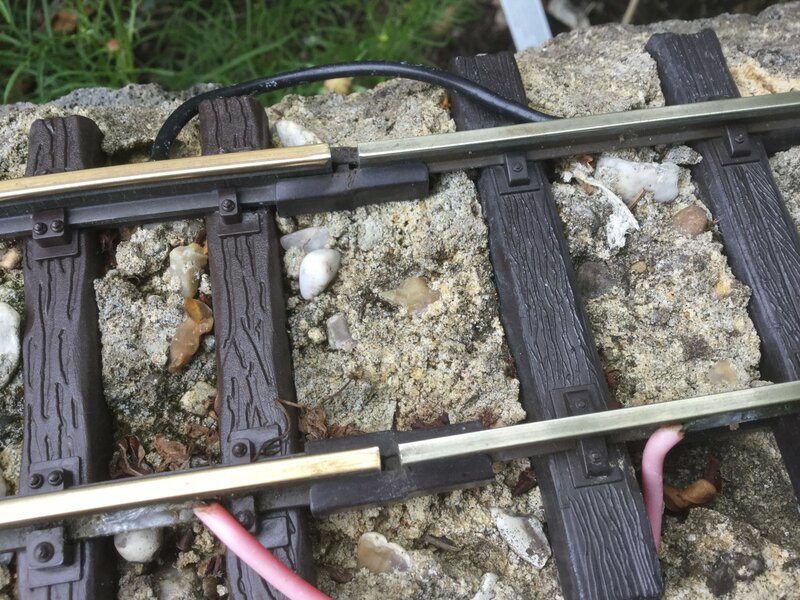 I did exactly this on my friends 0 Gauge line that I modified recently where we had some Peco Rail of differing codes. Just so but I added the thought of using a piece of wire to strengthen the joint! 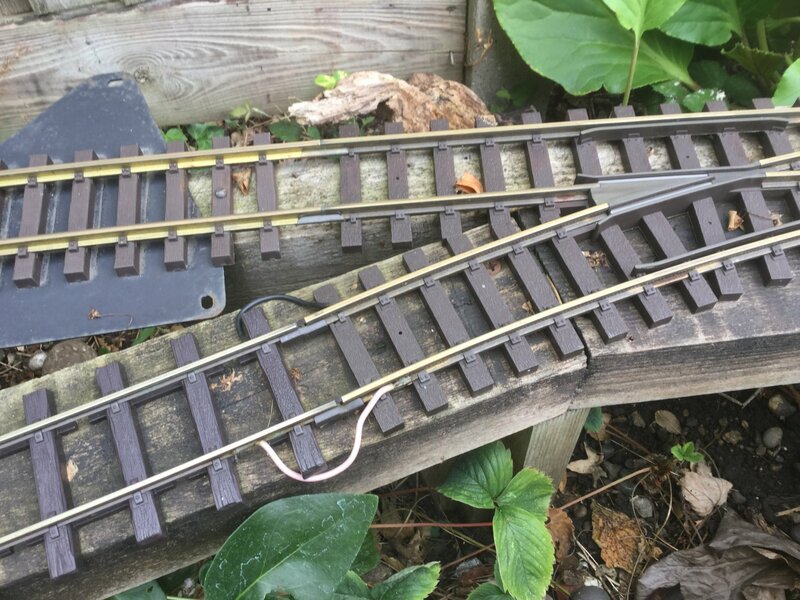 I managed to mangle the standard LGB rail joiner with a pair of pliers until both rails were level - sort of! I don't think I would brag about that ha ha! 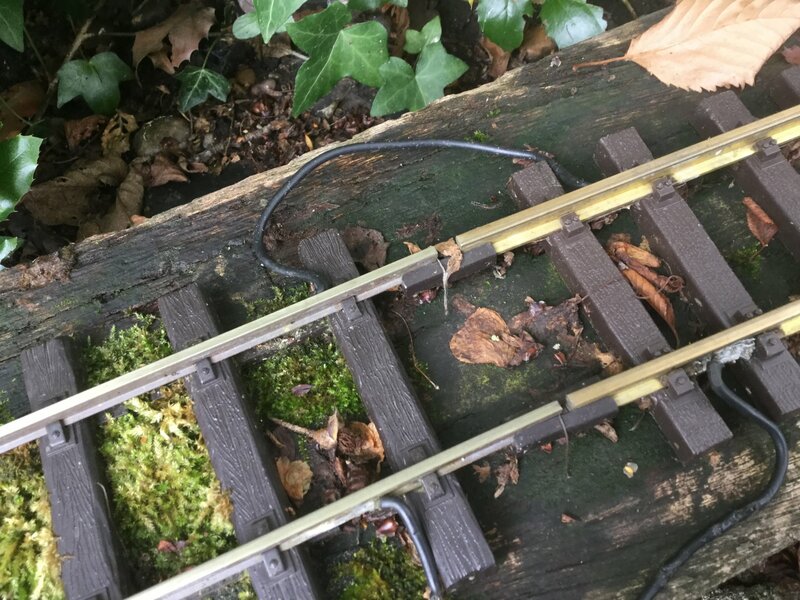 I have used just about every make of garden Railway track, joined to Peco G45. I began my line with Peco but subsequently went to LGB, Accucraft, Piko and Aristocraft. I think I have a joint fron each of these makes to Peco and the Peco conversion rail joiners have been very reliable. They have been in use since 2013. I bond the joints as well as my Railway is DCC.